The OMWT-XREC-SER Wireless Transceiver is a general purpose compact data transceiver perfect for those needing high performance and dependable operation. Its wireless modem transfers data at 9600 baud up to 1/4 mile in a city environment with 1/2 wave antenna or greater than 10 miles line-of-sight with a YAGI directional antenna. The radios integrate quickly and seamlessly into any new or existing design. Simply output serial data from a micro-controller or RS-232 port into the radio to send FCC approved, frequency hopping spread spectrum data through the air and capture it on all receivers within range on the same network. The system behaves as a virtual half-duplex parallel-wired network. 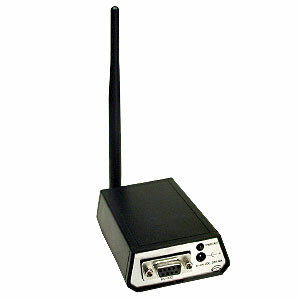 The OMWT-XREC-SER-900 wireless transmitter is supplied standard with a 1/2 wave monopole antenna. For longer distance outdoor use, optional Omni-Directional and YAGI directional line-of-site antennas are available. When used in conjunction with the OMWT series wireless transmitters and OMWT-REP repeater, process data from the wireless transmitter may be sent up to 20 miles(with appropriate antenna). 참고: Each wireless transceiver includes 1/2 wave antenna, 110 Vac adaptor, 1.8m(6ft) RS-232 cable with DB9F termination and complete operator’s manual. * Additional antennas are available. Contact the Data Aquisition Engineering Department.